Buildera THERMADUR™ PCT400K Thermocouple. Read the white paper that explains how Buildera thermocouples help to measure and assist diagnosis of domestic hot water complaints. Buildera™ THERMADUR™ PCT400K Pipe Clamp Thermocouples are durable, trouble-free sensors for monitoring, troubleshooting, and investigative studies of temperature-related fluid measurements. 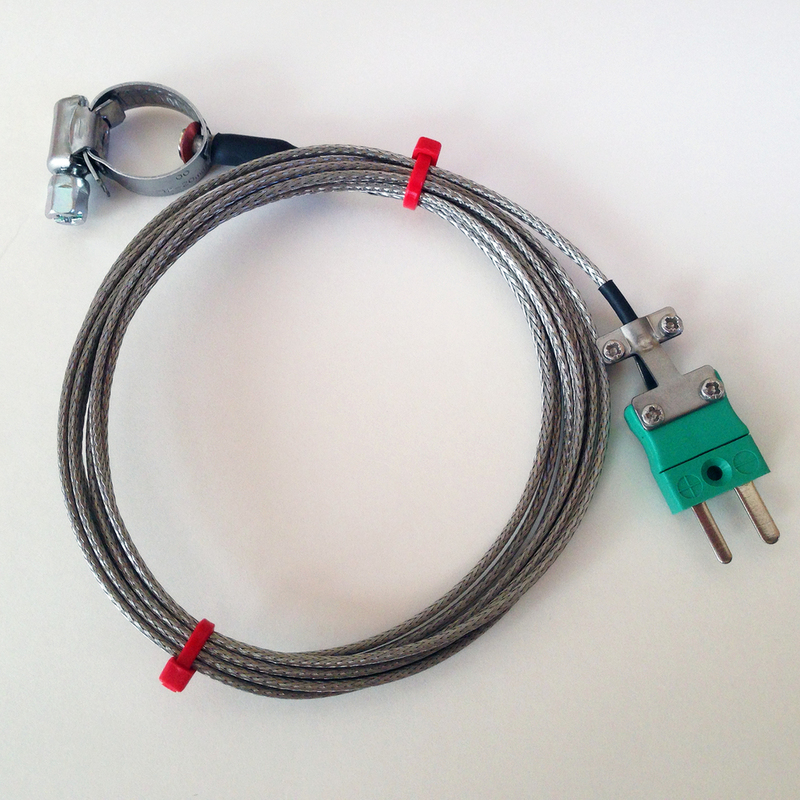 Each thermocouple features durable, industrial-grade components and quality manufacturing at competitive prices. Available in corrosion-resistant stainless steel for pipes ranging from ½” to over 4” in diameter, each thermocouple includes a direct-contact thermocouple attachment for fast response time, generous 72-inch cable length, stainless-steel overbraiding for superior field durability, and mini-plug termination compatible with a wide range of temperature measurement and logging devices, including Buildera THERMADUR data logging kits. Popular Type-K calibration compatible with wide range of temperature data loggers, handheld temperature meters, and DMMs with temperature-measurement capability. Strain Relief: Yes - Welded at clamp end; extension bracket at connector end. Specifications subject to change. Contact Buildera for more information.